February can be a cold winter month, but it’s also a month that celebrates love. 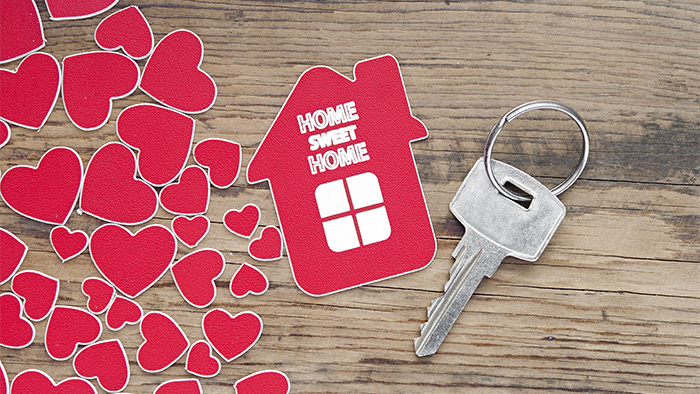 In the spirit of Valentine’s Day, I wanted to reflect on why I love being your trusted real estate professional and advisor. Recently, at our annual company real estate conference we were asked to reflect on our own first, personal real estate purchase and how it made us feel. 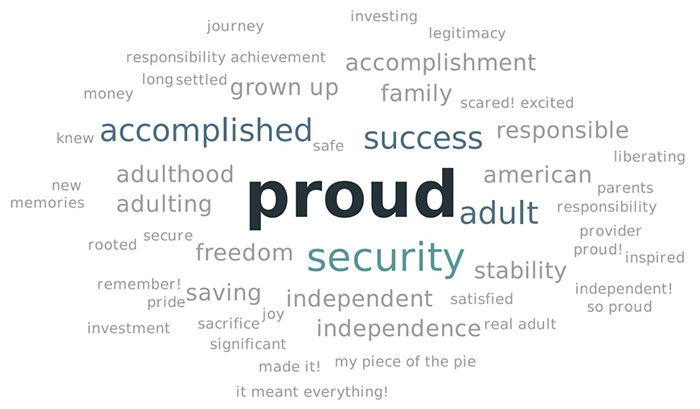 Below are a few of the words we compiled to express the great feeling of being a new homeowner. Helping first time home buyers, as well as first time home sellers, gives me an opportunity as a Realtor to make a long-term impact on the lives of my clients. Whether it’s a home to raise a family in, an opportunity to settle down, or an investment property, the impact is not lost on me. This is quite simply what I LOVE about being a Realtor. Assisting my clients by properly guiding them through the purchase process or the selling process requires the right skillset, knowledge, and mindset. I am constantly fine tuning my skills with training and education to provide the best assistance for future opportunities. And it all pays off when I see my clients reach their real estate goals and enrich their lives. The opportunity to help you and provide a lasting impact on your life is what I love about my job! I look forward to the opportunity to be of assistance again. I have access to detailed stats across Colorado and can help you find out the worth of your property any time. I can also help you determine what your home is worth even if it’s in a different area. As always, I am here for you. If it’s time for you to buy or sell, let’s talk.